​​Italy is one of the world's best-loved destinations, and no wonder—two-thirds of the world's historical artistic heritage is there. Tuscany alone possesses more artistic treasures than the whole of Spain, which is the second country in the world for cultural heritage. Whether you crave culture, gastronomy, cutting-edge design, sybaritic pleasures or simply the art of il dolce far niente—the sweet doing nothing—this is a country for lovers of all that is good in life. A visit to Italy is a lesson in living well. Open-air vegetable and fruit markets, neighborhood bakeries and fresh cheeses made daily are fixtures of Italian life. Tradition reigns: Neighbors still meet in the piazza to discuss the day, laundry is still line-dried, even in the largest of cities, and the passeggiata (leisurely stroll) is still made in the evening air—preferably with a gelato in hand. 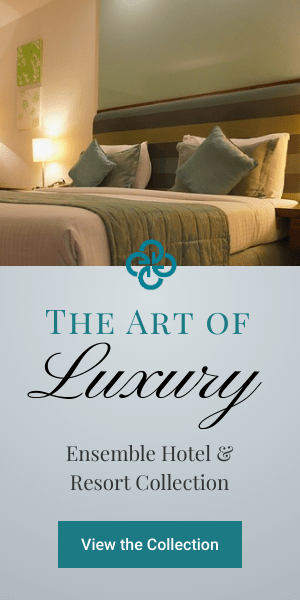 From the mountains to the coasts, the emphasis is on simple pleasures and high quality. Contact us for more information or to plan your trip to Italy! ​Piedmont, a region of Italy bordering France and Switzerland, sits at the foot of the Alps. It’s known for sophisticated cuisine and wines such as Barolo. Turin, the capital, has abundant baroque architecture and the monumental landmark Mole Antonelliana, with its soaring spire. Piedmont's medieval cities south of Turin include Asti, noted for its sparkling white Spumante wine, and Alba, famous for its white truffles. Both are also convenient bases for exploring the wine country. Nearby, in the famed Langhe hills, dotted with Nebbiolo-grape vineyards and picturesque villages, Barolo and Barbaresco wineries offer tours and tastings. In the northeast, Piedmont’s portion of Lake Maggiore, the western bank, features renowned gardens and villas, especially on the popular Borromean Islands. Turrin - Turin's main sights are within easy walking distance of Piazza Castello, the city's central square. Palazzo Reale and Palazzo Madama are two grand Savoy palaces located on the piazza. Just off the north end of the square are two churches: the Duomo and San Lorenzo. The Turin Shroud is hidden away in a large black marble box in the Duomo, but there is a small museum in San Lorenzo with a full-size reproduction on view. Views from the top of La Mole at sunset are stunning, but beware that on sunny weekends the wait for the lift can be more than one hour. Just south of Piazza Castello is the Egyptian Museum (Museo Egizio) featuring the largest collection of Egyptian artifacts outside Cairo. Farther south, across Corso Vittorio Emanuele II, is the Civic Gallery of Modern and Contemporary Art (GAM), and still farther south in Lingotto is the tiny but perfect Pinacoteca Giovanni e Marella Agnelli. Note that most of Turin's sights and museums are closed on Monday, as are many shops and restaurants. All sights are closed on Christmas Day, New Year's Day, Easter and All Saints' Day (1 November). Most attractions and museums do not accept credit cards for admission. It is highly recommended that you purchase a Torino+Piemonte Card if you plan to do any sightseeing in Turin. The card is available in two-, three-, five- and seven-day versions and allows free admission to more than 180 museums, monuments, royal residences and fortresses throughout Turin and Piedmont, a discounted price on the City Sightseeing Bus as well as free access to the panoramic lift in the Mole Antonelliana, to the boats for river navigation on the Po, to the tramway Sassi-Superga, and the train to and from the Turin International Airport. It also allows for reductions on guided tours, as well as on theater, opera and concert tickets. The Torino+Piemonte Card varies in cost: two days, 26 euros; three days, 30 euros; five days, 35 euros. Purchase the card at any tourist office or transport station, or ask your hotel concierge, as many keep a stock of cards to sell to guests. http://www.turismotorino.org/card. Probably the most efficiently run outfit, though, is the Turismo Torino office, which will give you the best information on museums, events, shows, bed-and-breakfasts and hotels. http://www.turismotorino.org. Liguria is a crescent-shaped region in northwest Italy. Its Mediterranean coastline is known as the Italian Riviera. The 5 colorful fishing villages of the Cinque Terre, as well as stylish Portofino and Santa Margherita Ligure, are on the eastern coast or Riviera di Levante. The western coast, the Riviera di Ponente, is home to Sanremo, a vintage resort with a turn-of-the-century casino and a flower-filled promenade. Genoa, Italy, an industrial port city in the center of the Italian Riviera about 97 miles south of Milan, is known primarily as the birthplace of Christopher Columbus—you can visit his tall Gothic home near the Porta Soprana. 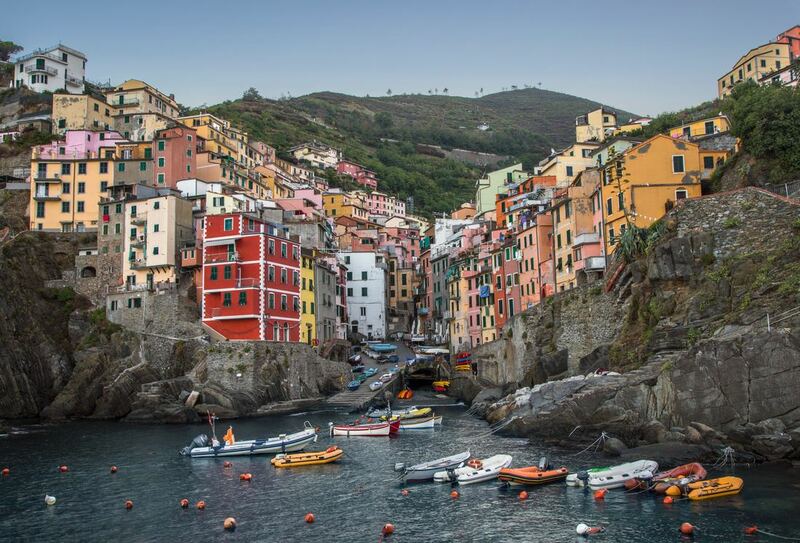 And while it has the Old Town, a medieval inner city, and great aquarium it is also home to Cinque Terre, A UNESCO World Heritage site which is a series of 5 picturesque towns that overlook the sea. Also, don't miss the medieval heart of Genoa with its famed caruggi, dark, almost cavelike covered laneways. Cuisine features its infamous pesto (worth the trip for foodies). Cinque Terre Located in the northwestern Italian region of Liguria, the Cinque Terre (Five Lands) is a string of five small towns dating back to the Middle Ages. They are best known for their iconic, colorful houses dotting the coastline, all built on tiny, winding alleys. For lack of farmland, locals shaped the steep rocks of the surrounding mountains into dry stone terraces, where they grew vineyards and produced white wines and the famous sweet Sciacchetra passito wine, made from dried grapes. The area is still unspoiled, and several hiking paths, famous for their charming nature and extraordinary views, connect the five towns. Because of the rare flora and unique environment, the coastline, the five villages, and the surrounding hillsides have been named a UNESCO World Heritage site. The tiny alleys of Corniglia's Old Town are slightly less crowded by tourists in summer, but wandering around the small streets, or caruggi, is an experience not to be missed. The little square "Fosso" has magnificent views over Manarola. The last remaining ruins of Corniglia's defensive walls are there, as well. 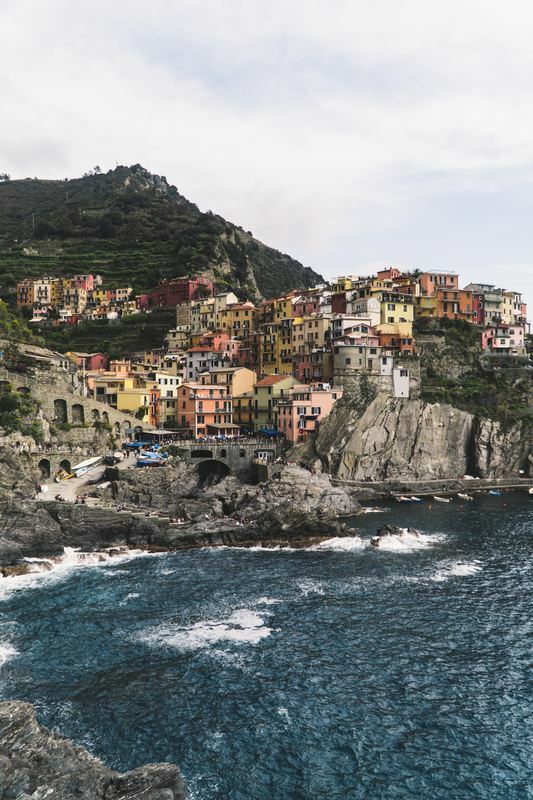 Travelers plan trips to Cinque Terre for nature, the views and charming villages. However, a stroll aroung Monterosso's Old Town is, by itself, worth of the entire visit. The main streets (Via Roma and Via Vittorio Emanuele) are surrounded by small alleys, known as carugi in the local dialect. These narrow streets lead to Piazza Garibaldi, which is anchored by a statue of Gen. Giuseppe Garibaldi. Lombardy is home to great art, culture, and food. Main cities to visit includes Milan, one of the world's fashion centers, as well as the less famous cities of Mantua, Cremona, and Bergamo. The cuisine consists of risottos, stews, and mostarda. In addition to shopping and museums, Lombardy is also famous for its lakes. Lake Garda, Como, Maggiore, and Iseo, called the lake region, and are some of the most picturesque places in Italy. Manuta In 2007, Mantua's centro storico (old town) and Sabbioneta were declared by UNESCO to be a World Heritage Site. Noted for its significant role in the history of opera; the city is also known for its architectural treasures and artifacts, elegant palaces, and the medieval and Renaissance cityscape. It is the place where the composer Monteverdi premiered his opera L'Orfeo and where Romeo was banished in Shakespeare's play Romeo and Juliet. It is the nearest town to the birthplace of the Roman poet Virgil, who was commemorated by a statue at the lakeside park "Piazza Virgiliana". Cremona is a city in Italy’s Lombardy region. The Stradivarius collection at the Violin Museum testifies to the city’s violin-making heritage. On Piazza del Comune are the Cremona Cathedral, with its Renaissance arcade, and the 8-sided Baptistery. Also on the square, the Torrazzo bell tower has an astronomical clock. The portico of the 13th-century Loggia dei Militi has a statue of 2 Hercules figures. Bergamo Its older upper district, called Città Alta, is characterized by cobblestone streets, encircled by Venetian walls and accessible by funicular. It's home to the Duomo di Bergamo, the city cathedral. Also here are the Romanesque Basilica di Santa Maria Maggiore and the grand Cappella Colleoni, a chapel with 18th-century frescoes by Tiepolo. Venito or Venice, Italy, is romance: a bridge arching over a canal, a gondola gliding by, the moon reflecting off water. Venice is history: the Palazzo Ducale (Doge's Palace), Piazza San Marco, the Grand Canal, great art and great museums. Venice is modern: the headline names and paparazzi of the Venice Film Festival, the buzzing excitement of Carnival in the 10 days before Lent begins. Venice has a plethora of world-famous museums and artistic treasures. The Basilica di San Marco, with its spectacular Golden Altar; the Bridge of Sighs, where prisoners could enjoy one last glimpse of the beautiful city before entering the dark jail; the Gallerie dell'Accademia, with its collection of art of the 14th-18th centuries; the Peggy Guggenheim Collection of 20th-century art—the list is long. Pick and choose which places you'll visit in-depth, or just skim the surface and soak up the atmosphere. 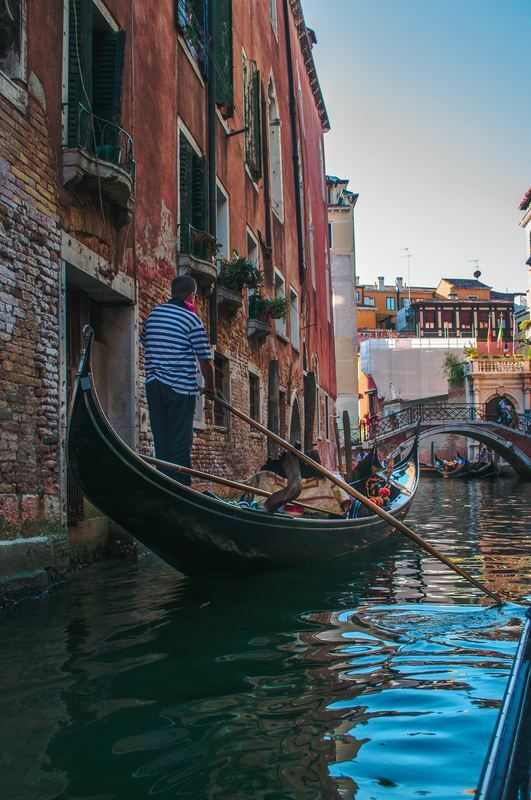 Venice is set on islands connected by bridges, with the Grand Canal as its main thoroughfare, and traffic moves by boats that range from the traditional gondolas to refuse barges. The absence of automobile noise means you can hear the laughter of children from your window, as well as footsteps seemingly just around the corner. But what makes Venice so unique also challenges its existence. The rising sea levels of global climate change threaten the city, and now, more often than in the past, high tides from the Adriatic Sea can flood whole sections of the city. The cuisine includes more delicious pasta and risotto, but with an emphasis on fresh seafood from the lagoon. Try the deep-fried soft-shell crab for a Venetian delicacy. The best introduction to Venice is a boat ride on the Grand Canal, and it doesn't really matter whether the vessel is a velvet-cushioned gondola or a utilitarian vaporetto (public water-bus). The S-shaped canal slices the city in half: Lining each side is an astonishing collection of 12th- to 18th-century buildings. Some of the baroque palaces look as elegant as they did when the doges ruled the city, though other architectural gems are crumbling into the murky water. As you travel along Venice's Grand Canal, you'll also see what life is like in a city without automobiles. Cargo barges ply the narrow waterway along with police- and fireboats. Classic wooden cabin cruisers take tourists to luxury hotels, and skilled gondoliers navigate their sleek black vessels under bridges and around bends. Venice's canals are a visual parade. Once you have oriented yourself to the waterways, set out on foot. Pick up a map, but expect to get lost—it's an inevitable part of the experience. Streets meander across canals, through campi (squares) and around buildings—often changing names as well as direction. If that isn't confusing enough, some streets are flooded in the winter because of aqua alta—high water. You'll want to spend most of a day visiting the sites close to the Piazza San Marco. The Doge's Palace offers a fascinating look at how the city's leaders lived and managed the republic, and the colorful religious mosaics at the Basilica di San Marco are some of the most stunning in the world. 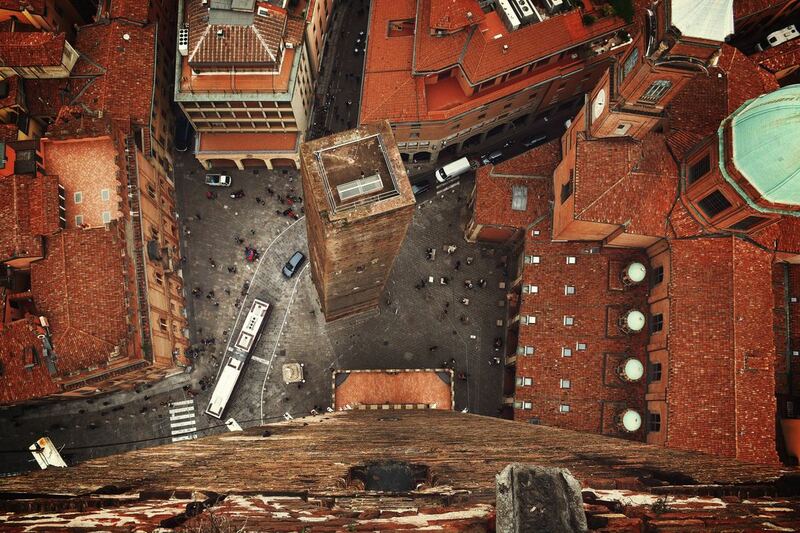 Take in the view from the top of the Campanile di San Marco if it's a sunny day. From the piazza, it's an easy walk to the Rialto Bridge, where you can browse the shops and enjoy views of the Grand Canal. Across the Grand Canal from San Marco, via the timber Accademia Bridge, is the Dorsoduro neighborhood, where you'll find two very different museums. The Gallerie dell'Accademia is the city's signature art repository, containing the best works of the prolific Italian Renaissance painters. A few blocks away (but worlds apart) is the Guggenheim Collection, a canal-front palazzo that was fashioned into a modern and avant-garde art gallery by an American heiress. There's a host of other spots to visit—from the Jewish Ghetto and the city's many ornate churches to the islands of Murano and Burano. A moonlit walk along a canal or an early-morning stroll through the winding streets of a secluded residential area can prove just as illuminating as a tour of the city's major attractions. Note: Venice offers several multipurpose tourist cards, each with unique features. For museums, the Venice Card and the museum passes are the primary options, providing discounts and allowing visitors to skip ticketing lines. The Venice Card provides discounts on most museums, churches, historic sites, performing arts events and more, and can be purchased at all Hello Venezia offices and most APT tourist offices. It remains active for seven days after initial use and costs 39.90 euros adults. Notably, it does not provide discounts on public transportation. http://www.venicecard.com. Alternatively, there are several types of museum passes, such as the Museum Pass and the MUVE Friend Card, that offer entrance to multiple museums for one discounted price. Museum Passes can be purchased at all participating museums or online. http://www.visitmuve.it. Visitors can also take advantage of the Chorus Pass, a card that gives a single user unlimited entrance to most Venice churches for a period of up to one year. (Visit the website for a complete list of churches.) It's definitely worth the price just to visit the Basilica di San Marco several times. Offered by the Venice Church Association, the card costs 12 euros. A Chorus Pass Family (for two adults and children younger than 18) offers the same plan as the Chorus Pass and is available for 24 euros. Chorus Associazione per le Chiese del Patriarcato di Venezia, San Polo 2986, Venice. Phone 041-275-0462. http://www.chorusvenezia.org. Emilia-Romagna is a region in northern Italy, extending from the Apennine Mountains to the Po River in the north. It's known for its medieval cities, rich gastronomy and seaside resorts. The capital, Bologna, is a vibrant city with an 11th-century university and arched porticos lining the streets and squares of its medieval core. Ravenna, near the Adriatic coast, is famed for its brightly colored Byzantine mosaics. Bologna Sometimes called "Bologna the fat," this city 65 miles north of Florence is a great place to indulge yourself: Many consider it the gastronomic capital of Italy. Mercato di Mezzo stands on the site of Bologna's oldest food market, in the heart of the Quadrilatero District. Food stands sell fresh pasta, platters of local salumi (cold cuts) and cheeses, accompanied by piadine and tigelle (typical breads of the area), wines from the Enoteca Regionale Emilia-Romagna, craft beer, gourmet sandwiches and sweets. You can eat in or take away. Daily 9 am-midnight. Your best introduction to Bologna, the interactive Museum of the History of Bologna traces 2,500 years of Bologna history, from Etruscan to Roman times, through the Middle Ages to the modern era. Tuesday-Sunday 10 am-7 pm. 13 euros. Ravenna It's known for the colorful mosaics adorning many of its central buildings, like the octagonal Basilica di San Vitale, the 6th-century Basilica di Sant'Apollinare Nuovo and the cross-shaped Mausoleo di Galla Placidia. North of the center, the Mausoleo di Teodorico built in the 6th century for King Theodoric the Great, is a Gothic, circular stone tomb with a monolithic dome. Mosaics also adorn the Battistero Neoniano, a baptistry in the city center. The nearby Chiesa di Sant'Eufemia-Domus dei Tappeti di Pietra is a subterranean archaeological site with marble and mosaic floors. The Chiesa di San Nicolò now houses Museo TAMO, a museum with interactive exhibitions on mosaic techniques. The Battistero degli Ariani is a 5th-century structure that now sits below modern ground level. Neoclassical Tomba di Dante is the burial site of the medieval poet Dante Alighieri. South of the city is the massive Mirabilandia amusement park, with rollercoasters, water rides and the panoramic Eurowheel. Tuscany is a hilly, scenic region in central Italy, known for its history, art, beautiful scenery, robust cuisine and, of course, wine. Tuscany is undeniably one of the greatest wine-producing regions in the world. In addition to sampling the ubiquitous Chianti, don't leave the region without tasting the exquisite Brunello di Montalcino or the more moderately priced Vino Nobile di Montepulciano. 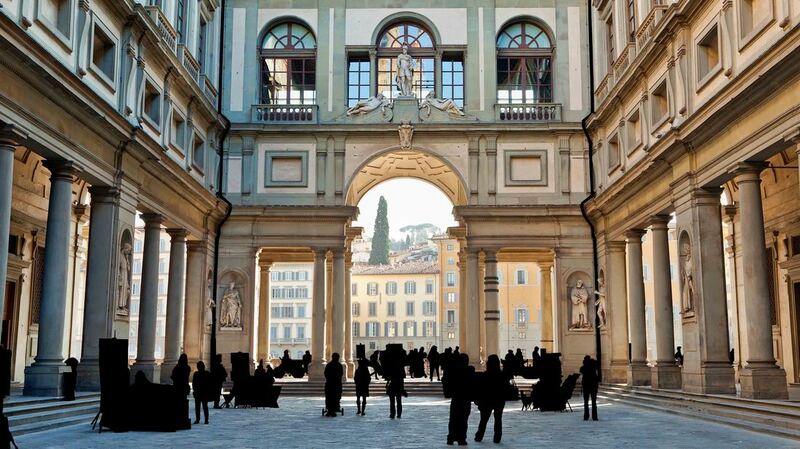 Be sure to spend some time in Florence, Tuscany's capital city. The birthplace of the Renaissance, Florence is rich with history, art and architecture. The massive Duomo, in the center of the city, is one of the largest cathedrals in the world. The medieval towers of San Gimignano, in the hills 25 mi/40 km southwest of Florence, are this Tuscan town's primary attraction. Of the 14 remaining towers (there were once more than 70), Torre Grossa is the only one accessible to tourists. The view from the top is spectacular. The picturesque 12th-century town of Siena, 43 mi/70 km south of Florence, is also worth a visit. Be sure to see Giovanni Pisano's Gothic cathedral and the world-famous frescoes at Palazzo Pubblico. 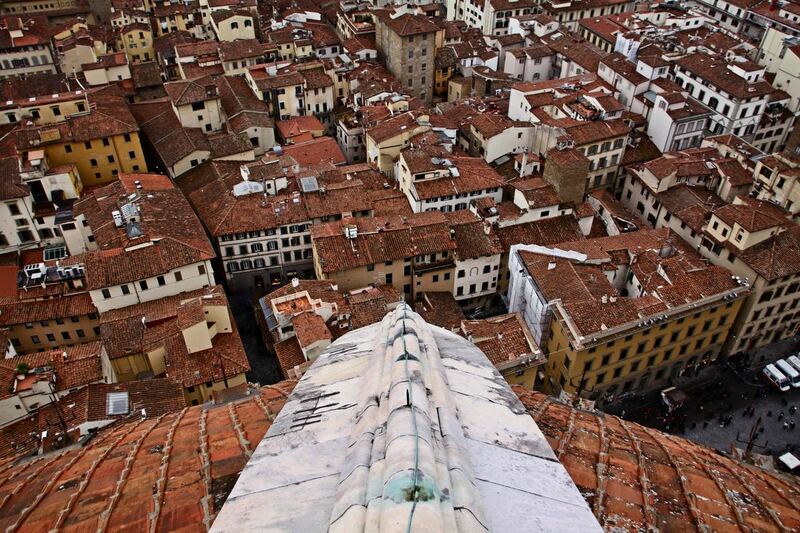 The 400-step climb up the Torre del Mangia rewards the hardy with breathtaking views of the town and Tuscan hills. Siena's world-famous Palio horse race takes place in the Piazza del Campo in July and August. Charming Arezzo is famous for its churches and their works of art. Located 52 mi/85 km southeast of Florence, the town also has several fine museums and a monthly antiques fair—the oldest in Italy—in Piazza Grande. Florence, Italy, is one of the most beautiful cities in the world—and for many visitors, it is the most splendid. While travel to the city usually centers on its attractions, including museums, palaces and churches that overflow with masterful paintings and sculpture, it is not limited to those destinations. Visitors encounter the spirits of da Vinci, Dante, Boccaccio, Michelangelo and the Medicis, and the days of the Renaissance seem close at hand. 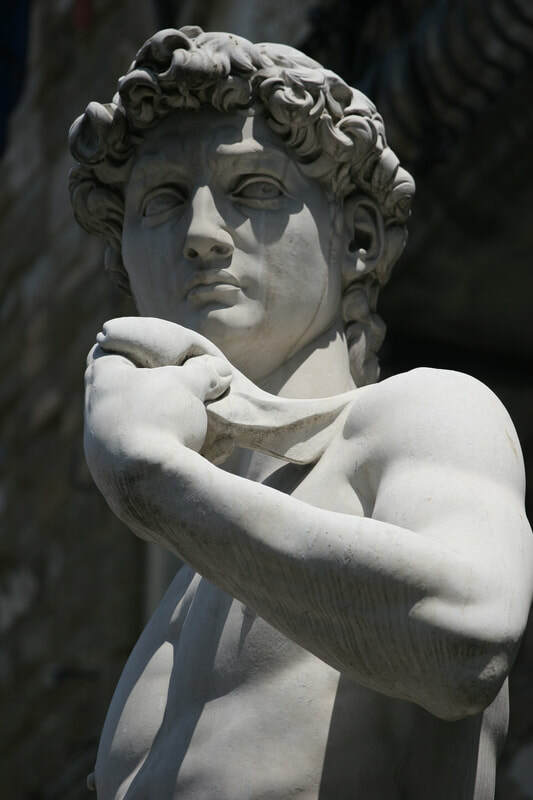 Galleria dell'Accademia - Of the three statues of Michelangelo's David in Florence, the original can be admired there. In 1873, it was moved from its original position in front of Palazzo Vecchio, where a copy stands today. You may also view Michelangelo's four Prigioni (prisoners) in the Accademia. In their unfinished form, the statues seem to struggle to emerge from the marble. There's also a notable collection of 13th- to 18th-century paintings that would constitute a remarkable museum collection on their own. Tuesday-Sunday 8:15 am-6:50 pm. Ticket office closes 30 minutes before closing time, but you will have to stand in a very long line to get there. Better to reserve almost a week ahead for an appointment. 8 euros adults. Galleria Palatina - The main gallery in the Palazzo Pitti, the Palatine Gallery is full of works by Titian, Raphael, Rubens, Tintoretto, Caravaggio and others. Make sure you look up: The ceiling decorations are masterpieces in their own right. Tuesday-Sunday 8:15 am-6:50 pm. Ticket office closes 30 minutes before closing time. 8.50 euros for regular admission, which includes entrance to the Galleria d'Arte Moderna as well. Museo dell'Opera del Duomo - This museum keeps most of the major works of art from the Baptistery and the Duomo safe from the elements and crowds. Included in its collection are Michelangelo's Pieta (made for his own tomb) and Donatello's renderings of Mary Magdalene, St. John the Evangelist and the prophets Habakkuk and Jeremiah. The original eastern doors from the Baptistery are on display there. The Baptistery's stunning silver altar—a masterpiece of Florentine silversmithing—is there, as well. Monday-Saturday 9 am-7:30 pm, Sunday and holidays 9 am-1:45 pm. Ticket office closes 40 minutes before the museum closes. 10 euros. Museo di San Marco - This beautiful museum is in the former convent adjoining the church of San Marco. It is best known for the numerous frescoes by Fra Angelico within the monks' cells and elsewhere. Don't miss the Last Supper by Ghirlandaio. Because it's located across the square from the Accademia, it's easy to visit both in one day. Monday-Friday 8:15 am-1:15 pm, Saturday 8:15 am-4:15 pm. 4 euros adults. Museo Galileo (Institute and Museum of the History of Science) - This renovated museum houses the Medici collection of scientific instruments and has a whole section dedicated to Galileo Galilei. Highlights are the vast collection of telescopes and globes and a very macabre display of Galileo's preserved finger. The museum is home to the only original instruments of Galileo that have survived. Daily 9:30 am-6 pm (Tuesday till 1 pm). 9 euros adults. Museo Nazionale del Bargello - The Bargello is impressive, powerful, foreboding and hostile. Once the judicial offices and prison of Florence, it was the scene of many hangings. Now a museum, it holds one of the finest collections of Renaissance sculpture in Italy, with masterpieces by Michelangelo, Verrocchio, Giambologna and Cellini, among others. Daily 8:15 am-1:50 pm; closed the first, third and fifth Sunday and the second and fourth Monday of the month. Ticket office closes 40 minutes early. 4 euros adults. Museo Stibbert - This is a great place for children—Museo Stibbert features lots of knights in armor on horseback and a park that surrounds the building. The museum is the city's legacy from the Englishman Frederick Stibbert (1838-1906), who amassed some 50,000 pieces in his beautiful estate on the hillside of Montughi. Arms and armor from around the world make up the bulk of the collection, but you'll see art from Europe, the Middle East and Pacific Asia, as well as porcelain, furnishings, tapestries and relics from Napoleon I. The bonus is the Arts and Crafts-style villa itself. Monday-Wednesday 10 am-2 pm, Friday-Sunday 10 am-6 pm; ticket office closes one hour before the museum. 8 euros adults. Museums of Fiesole - Fiesole has an archaeological area that includes the remnants of Etruscan walls, a Roman theater, an Etruscan temple and Roman baths, plus an archaeological museum. The Bandini Museum (open Friday-Sunday) houses an art collection that includes Byzantine works and polychrome glazed terra-cotta sculptures from the della Robbia workshop in Florence. Uffizi Gallery - One of the greatest museums in the world, this collection was originally the private property of the Medici family. As the Medici dynasty was ending in the early 1700s, Anna Maria Ludovica de' Medici—the last of the family—determined that the museum would become the eternal birthright of the city of Florence and its citizens. The museum contains the greatest collection of Italian Renaissance paintings and sculpture in the world, starting with pre-Renaissance masters such as Giotto and progressing through Masaccio, da Vinci, Michelangelo and innumerable others. Don't miss the Botticelli rooms—Spring and The Birth of Venus are breathtaking. There's also an excellent selection of northern masters, especially Rubens, Van Dyck and Rembrandt. The Uffizi also has an entire wing devoted to works by Caravaggio and others that were previously relegated to storage. The terrace cafe atop the Loggia della Signoria affords wonderful views of the Piazza della Signoria, the Palazzo Vecchio and the town of Fiesole on the horizon. Various rooms close on occasion because of staff shortages or cleaning, so check the list of closures at the entrance if you're hoping to see a particular work or works by a particular artist. Also note that some pieces from the collection occasionally go on loan. Split up your visit if you have time to do so. Lines can be horrendous, especially in high season—make life easier with advance reservations if at all possible. (http://www.b-ticket.com/b-ticket/Uffizi/default.aspx). 6.50 euros, 11 euros during special exhibitions. Pisa is a lively medieval university town in the Tuscan region of Italy. 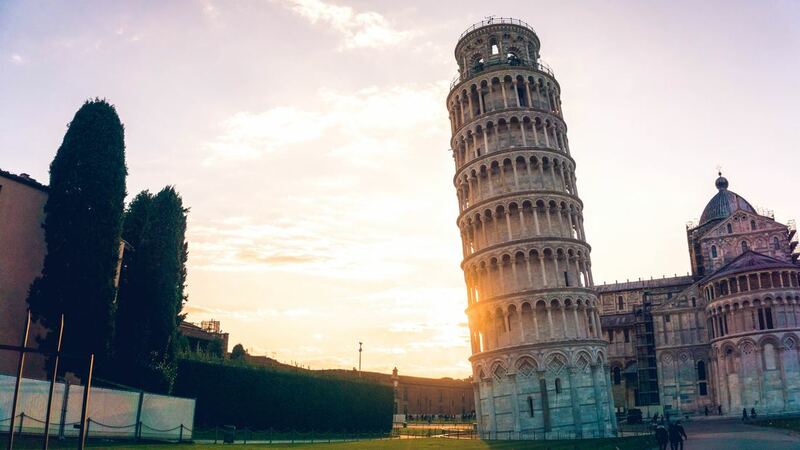 Although the Leaning Tower (known as the Torre Pendente by locals) is one of the main attractions and the symbol of the city, it is only one of the many beautiful treasures of Pisa. The building of the tower began in 1174 and was completed only in the second half of the 14th century because of repeated sinking of the land under its foundation. In 1990, the instability of the tower made it necessary to close it to visitors, but an extensive program of modern engineering was successful in rebalancing the tower to its original "degree of lean." Today, visitors can climb the 294 steps of the spiral staircase leading up to the belfry at the top. Lazio is a central Italian region bordering the Tyrrhenian Sea. Its principal city, Rome, is Italy’s capital and was at the heart of the ancient Roman Empire. 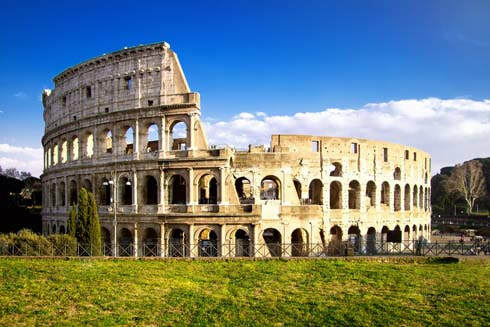 Its iconic ruins include the Coliseum, an amphitheater that seated thousands. On the coast, the ancient port of Ostia still retains detailed mosaics and a theater. Inland are the forested Apennine Mountains, with nature reserves, lakes and stone-built villages. Sights—The ancient Forums, Palatino Hill, Foro di Traiano, Piazza del Campidoglio and Colosseo (the Colosseum); Basilica di San Pietro; the fountains of Piazza Navona; the Spanish Steps; The Pantheon; Trevi Fountain; Circo Massimo; the catacombs and monuments along the ancient Appian Way; Piazza del Popolo and the Pincio Gardens above it; Castel Sant'Angelo. Museums—The Musei Vaticani and the Sistine Chapel; sculptures, frescoes and the Tabularium of the Musei Capitolini; phenomenal art at the Museo e Galleria Borghese; the privately owned Galleria Doria Pamphili; the unique paintings in Palazzo Barberini; the modern works at the Galleria Nazionale d'Arte Moderna e Contemporanea; the Etruscan treasures at the Museo Nazionale Etrusco di Villa Giulia; history's layers at the Museo Nazionale Romano—Crypta Balbi. Basilica di San Giovanni in Laterano - Saint John Lateran holds the distinction of being Rome's cathedral, as well as the oldest of the city's five major basilicas. The church—said to have been founded in 313 by Emperor Constantine the Great—has, of course, been rebuilt many times over the centuries, but its fourth-century floor plan is still honored. 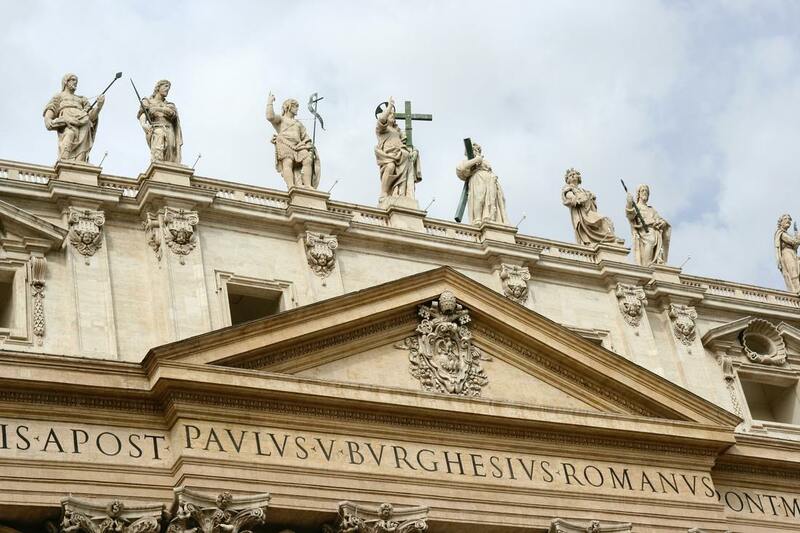 As the Cathedral of the Bishop of Rome, the church contains the papal throne, and it ranks above all other churches—even above St. Peter's Basilica in the Vatican. Borromini is responsible for much of the interior visible today; the coffered, carved and painted ceiling and the Cosmati mosaic floors are spectacular. Outside, the octagonal baptistery dates from the fourth century. The famous Scala Sancta (sacred steps) are also at this piazza. Some, who still venerate it as the staircase from Pilate's house that Jesus ascended, climb it on their knees, praying at each step. 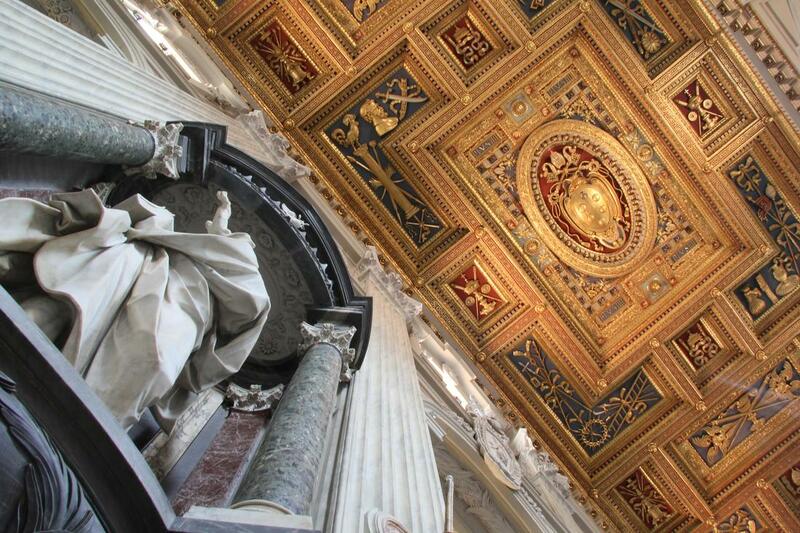 All that remains of the 16th-century Lateran Palace, residence of the popes until 1377, is the staircase and the papal chapel, with precious 13th-century frescoes, at its top. The cloister, all that's left of the Benedictine monastery that serviced the basilica, is also open to the public. The basilica is open daily 7 am-6:30 pm. The cloister is open 9 am-6 pm. The baptistery is open 7 am-12:30 pm and 4-7 pm. The Scala Sancta is open 6:15 am-noon and 3-6:15 pm (3:30-6:45 pm April-September). Admission is free for the basilica and the Scala Sancta (although a donation is expected for those who wish to climb the sacred stairs on their knees), 2 euros for the cloister. Call ahead to book a guided tour, available Monday-Friday 9 am-1 pm. Basilica di San Pietro (St. Peter's Basilica)- As the spiritual center of the Catholic Church, St. Peter's is the ultimate destination for Catholic pilgrims, but it also draws visitors with its masterpieces of art and architecture. Most noticeable—at least from a distance—is the dome, designed by Michelangelo, which is the world's second largest. An outer shell protects the gold-encrusted interior dome. Between the shell and the dome is a spiraling walkway that guests can climb to the cupola, which overlooks Rome and Vatican City. Walk the whole way or take an elevator to the terrace, which is lined with statues of Jesus, the apostles and other saints. The tight, slanting stairway that ascends from there is not for the claustrophobic, but it's definitely worth the effort. 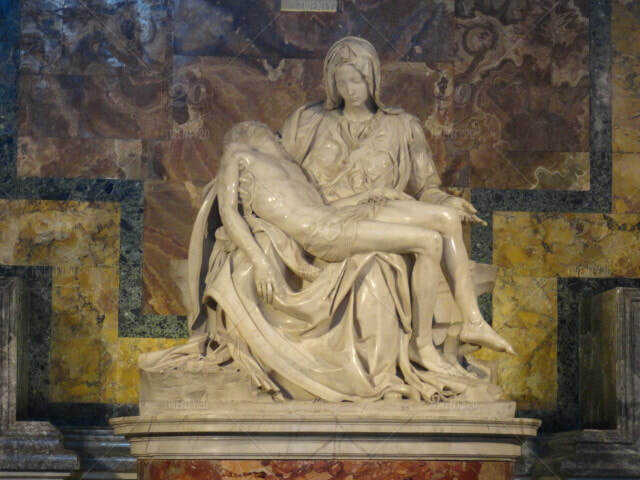 Another Michelangelo masterpiece, the Pieta, lies behind bulletproof glass in the basilica. Perhaps appropriately for its subject matter, it seems quite small—just as most visitors feel in this massive structure. Also noteworthy are the tomb of Clement XIII by Canova—the sculpted lions almost roar—and a stunning mosaic by Giotto in the grottoes on the lower level. Much of the artistic glory belongs to architect-sculptor Bernini: He designed the huge semicircular colonnades that surround the piazza in front of the basilica—they reach out like two arms to envelop visitors—and the gilt bronze baldachin, a canopy on tall pillars, which he placed over the papal altar. Don't miss his other works: the breathtaking Throne of St. Peter in Glory, with the Holy Spirit in the form of a dove surrounded by angels and gilded rays of light; the tabernacle made of gold, silver and lapis in the prayer room; the equestrian statue of Constantine to the right of the front portico; and the flamboyant monument to Pope Alexander VII—the skeleton as a symbol of death may be a bit much, but the marble "fabric" draped over it seems so real, you expect it to rustle. Free English-language tours of the Basilica are offered Monday-Friday at 9:45 am and 2:15 pm. Meet in the information office to the left of the Basilica; tours cannot be reserved, so it is advisable to arrive early. Alternatively, the audioguide is very helpful (available at the information desk to the right of the portico's entrance for 5 euros). When the pope is in residence, he blesses the crowds in Piazza San Pietro at noon on Sunday. Pope Francis has refused to live in the lavish papal apartments overlooking the square, but he still gives his weekly angelus blessing from the windows. He lives in the simple Casa Santa Marta on the Vatican grounds where visiting priests and nuns stay. Because of the popularity of Pope Francis, it takes more than a little planning to attend a papal audience, held Wednesday at 10:30 am in Piazza San Pietro (or in the Paul VI Audience Hall in winter). Order free tickets in writing, well in advance (fax 06-6988-5863) for reserved seating. Pick up tickets at the Bronze Door, to the right of Basilica San Pietro (either the day before 3-7 pm, or the day of 8-10:30 am). It is best to be in line two hours ahead of the audience to beat the school and tour groups. Standing-room-only access is open on a first-come, first-served basis and is rarely filled, except on special occasions such as Easter and Christmas. Contact your local Catholic priest for more information. The church remains closed during the audience. http://www.papalaudience.org/tickets. Make a separate reservation to visit the Scavi, the excavations of a remarkably intact necropolis underneath St. Peter's. They contain a first-century street with tombs, including the possible burial place of St. Peter himself. The site lies below the basement crypt of the popes. Only a few 90-minute tours run each day, but it's worth trying to reserve a spot. Apply in person or in writing to the Ufficio Scavi at the Arco delle Campane (Arch of the Bells), to the left of the basilica. The Swiss Guards can direct visitors to the office, which is open Monday-Friday 9 am-6 pm. Requests may also be faxed to 06-6987-3017. Tickets are 13 euros (children younger than 16 are not admitted). Phone 06-6988-5318 for more information. Reservations cannot be made by phone. The dress code for all indoor areas at the Vatican is strictly enforced: Both men and women must have their knees and shoulders covered, and men should wear long pants. Switch off mobile phones, and expect strict security controls (including metal detectors) and long lines. The basilica is open daily 7 am-7 pm (till 6:30 pm in winter). Mass is held by visiting priests Monday-Saturday at 8:30, 10 and 11 am, and noon and 5 pm; Sunday at 9, 10:30 and 11:30 am, and 12:15, 1, 4 and 5:45 pm. 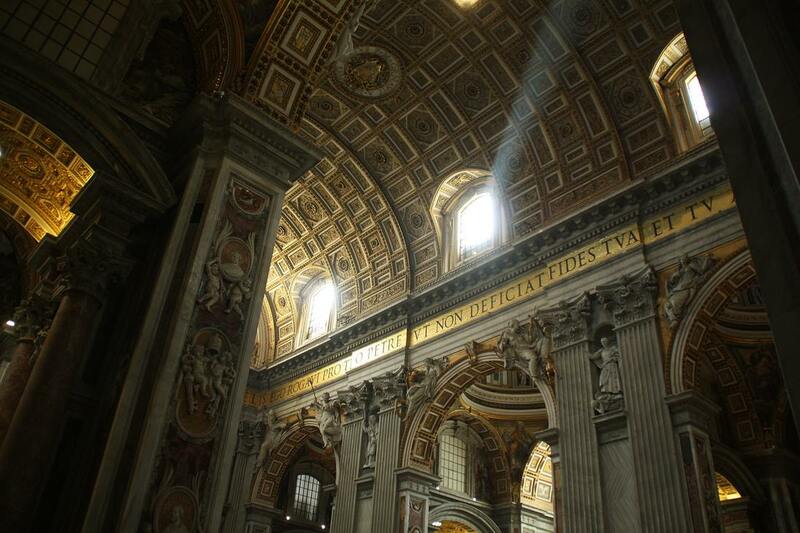 Admission to the basilica is free; ascending to the dome is 6 euros by foot or 8 euros for the elevator to the terrace. 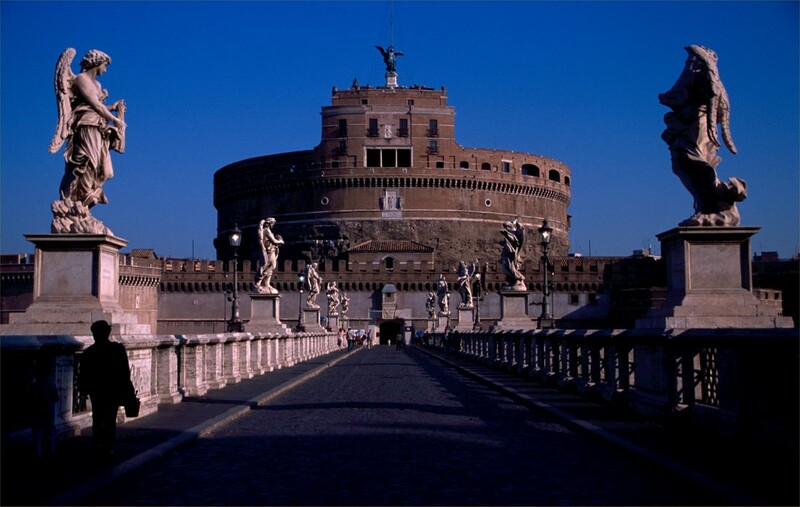 Castel Sant'Angelo - This round fortress rises over the banks of the Tiber, a cannonball's shot from the Vatican. Emperor Hadrian built it as his mausoleum between AD 135 and 139. Later it became a papal stronghold, linked since 1277 to the Vatican by a concealed passageway (the passetto) in the defensive walls. Strolling around its many levels, ages and stages—both dark and glorious—is fun and informative. The site also includes an interesting museum and a lovely park, which often hosts fairs and exhibitions. The fortifications are famous as the setting for the third act of Puccini's Tosca, in which the heroine throws herself over the parapet. 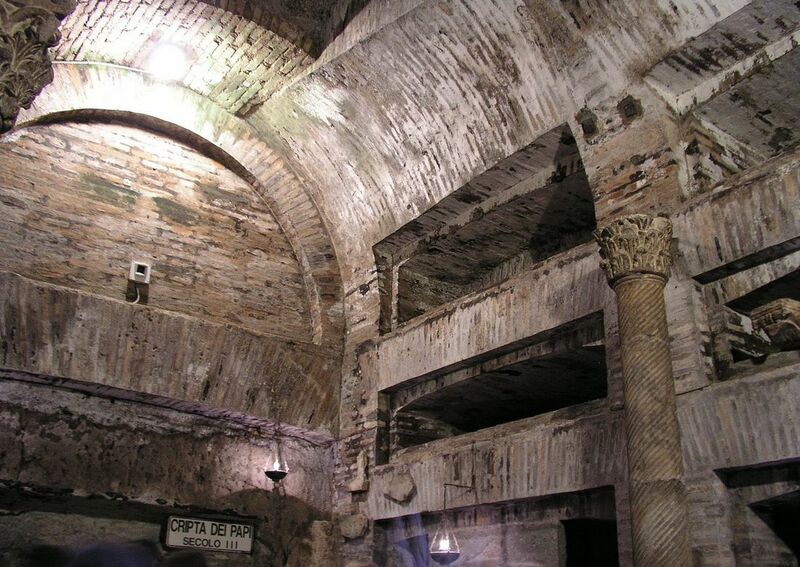 Catacombs of San Callisto - These five floors of intricate passageways were the first official cemetery of the Roman church between the second and eighth centuries. Guided tours (about a half-hour long) include a look at early Christian frescoes and imagery (but no bones—the remains were either stolen or long since transferred to the Pantheon). Chiesa di Santa Maria in Cosmedin - This basilica is famous for La Bocca della Verita (the Mouth of Truth). Once a Roman sewer cover, this huge marble disk is now embedded in the portico wall of the church. According to tradition, the mouth will bite off a liar's hand, but it's more likely that, in medieval times, a man with a sword on the other side helped the "miracle" along. The church itself is often overlooked, but its early medieval architecture, frescoes, mosaic floors and Masonic imagery are well worth a look. Daily 9:30 am-6 pm. Colosseum - Originally called the Flavian Amphitheater and the site of gladiatorial combat, the Colosseum is the most frequently evoked symbol of Rome. Begun in AD 72 by Emperor Vespasian, it was finished eight years later by his son Titus and could seat 80,000 spectators. Underground dungeons opened to visitors for the first time in October 2010, and an upper area that had been closed since the 1970s reopened. A 25-million-euro donation from a businessman is being used to renovate the site; updates began in 2013 and were completed in April 2016. Spanish Steps and the Piazza di Spagna - The piazza is the heart of Rome's most fashionable shopping area, familiar to residents and visitors alike because of its grand and distinctive steps. They are a great—if crowded—place to rest and watch street musicians, vendors, lovers and tourists. Just don't picnic on the steps: The city of Rome has made it illegal to snack on public monuments. Young people gather there to see and be seen, chatting in groups or on their ubiquitous telefonini (cell phones). The spectacle is most impressive in spring, when brilliant azaleas line the steps. At the base sits a fountain by Bernini (father and son), and the house (now museum) of 19th-century poet John Keats overlooks the steps. 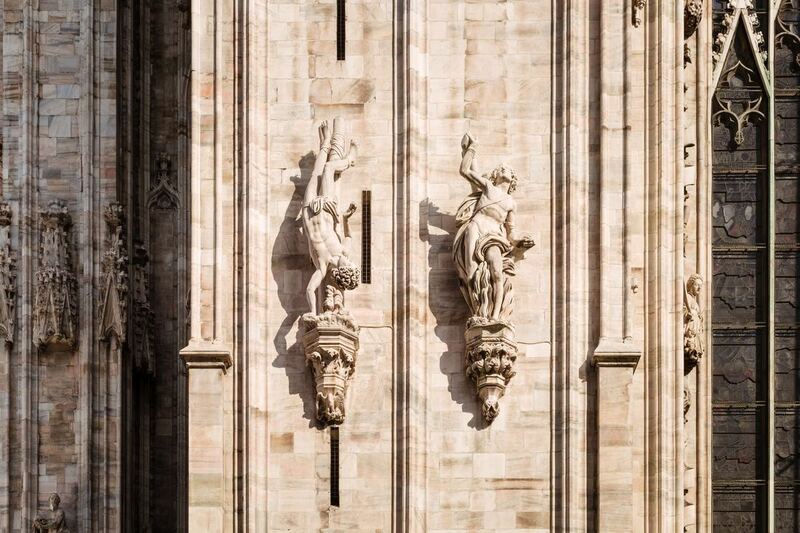 At the top there's a grand view of the city, and just to the right, you will find Palazzetto Zuccari (Via Gregoriana 28), known as The House of Monsters because of the sculptures that adorn the facade. 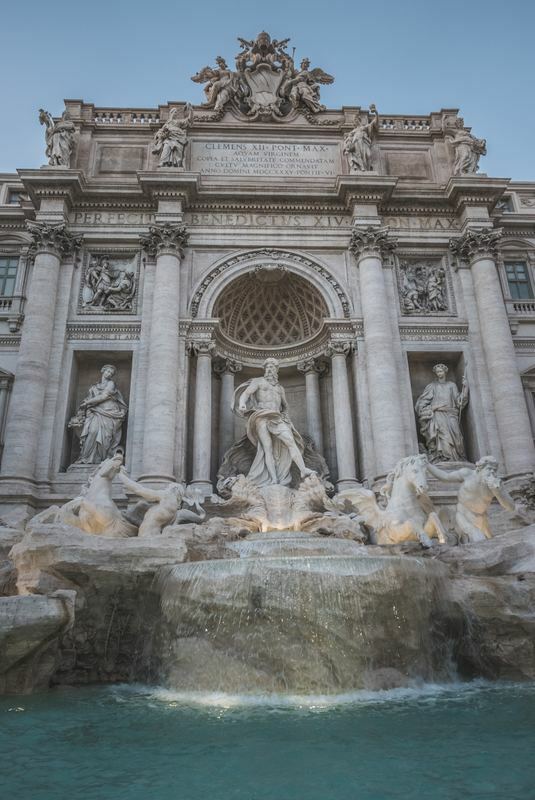 Trevi Fountain - The iconic, highly theatrical fountain is usually thronged with tourist groups repeating the tradition inspired by the 1954 film Three Coins in the Fountain, of throwing in a coin before leaving Rome. Turn your back to the fountain, toss a coin over your left shoulder into the water, and your return to the city is assured. Even with the crowds, you should get a good view of the mighty god Neptune riding his winged chariot through gushing waters supplied by the ancient Acqua Vergine aqueduct. Watch out for pickpockets, though. Nicely illuminated at night. Campania Campania is a region in southwestern Italy known for its ancient ruins and dramatic coastline. 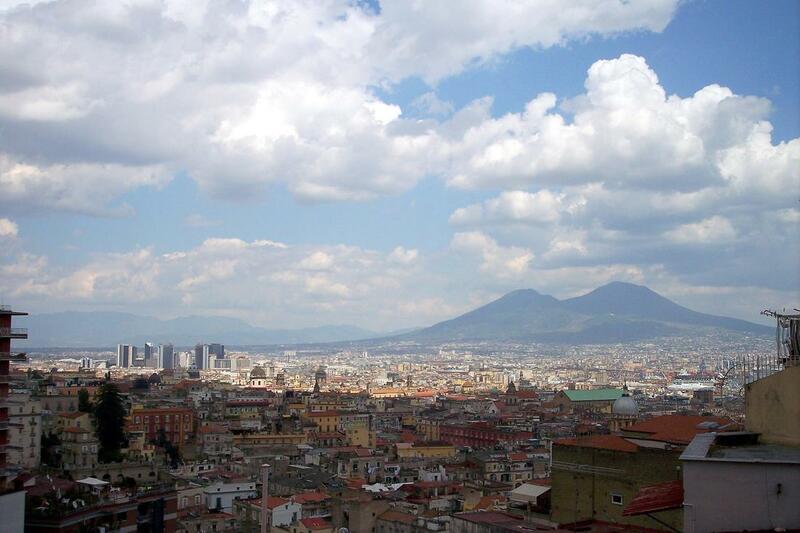 Naples, the regional capital, is a bustling city with a striking natural setting between the iconic gray cone of Mt. Vesuvius and the deep blue waters of the Golfo di Napoli. To the south, the Amalfi Coast is home to pastel-hued towns such as Positano, Amalfi and Ravello, nestled between cliffs and the sea. Naples - Naples has an astonishing number of museums and churches. If you have only a day or two, make sure to visit both Pompeii and the National Archaeological Museum. The oldest of its kind in Europe, this museum houses the most impressive artifacts from Pompeii and Herculaneum, greatly complementing a visit to the ancient cities. Visit Pompeii first for a complete appreciation of the museum. Naples is famous for its Farnese art collection, begun by Pope Paul III and inherited first by Elisabeth Farnese, then by her son Charles of Bourbon. When Charles of Bourbon inherited it, the collection was scattered across Rome, Pisa and Naples; he brought it to Naples. The bulk of its works, numbering more than 200 and including works by Botticelli and Raphael, is divided between the Capodimonte Museum and the National Archaeological Museum. The Palazzo Reale (Royal Palace), located in the sweeping Piazza del Plebiscito, contains the National Library and many important works of art. ​Pompeii The ancient city of Pompeii, Italy, 20 miles southeast of Naples, was quite prosperous in Roman times. But the city, at the foot of Mount Vesuvius, was destroyed in AD 79 following the infamous volcanic eruption that covered it with 13-20 ft/4-6 m of pumice and ash. Pompeii and Herculaneum (Ercolano) remained covered until the 1700s, when a farmer discovered Pompeii while digging a well. 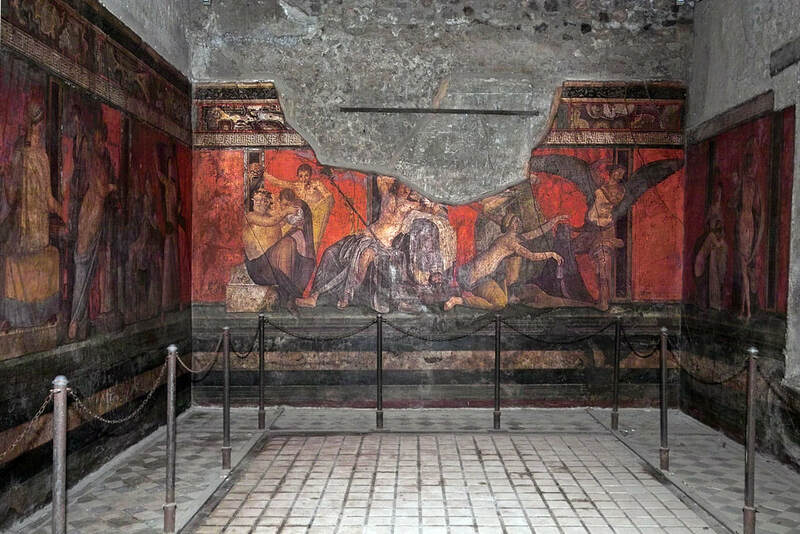 Archaeological explorations took place in the mid-1800s, and Pompeii remains one of the most important archaeological sites in the world, providing a complete picture of Roman life at the height of the Roman Empire. Pompeii was a city of nearly 20,000 in Roman times, and in the summer it can be exhausting to see it all. Amalfi Coast ​ The charming seaside town of Amalfi is the heart of Italy's Amalfi coastline. Located at the mouth of a deep ravine and surrounded by dramatic cliffs, this impressive natural landscape creates an unforgettable backdrop to Amalfi's seaside setting. With narrow, winding streets and medieval architecture, Amalfi is a must-see while visiting the Amalfi Coast. For centuries, Capri was a retreat of sorts. Pirates hid their loot there, and it's where Emperor Tiberius built Villa Jovis, the first-century villa where he spent the last, debauched years of his reign. Visitors can see the Salto di Tiberio, the point from which he would fling to their death those who no longer pleased him. 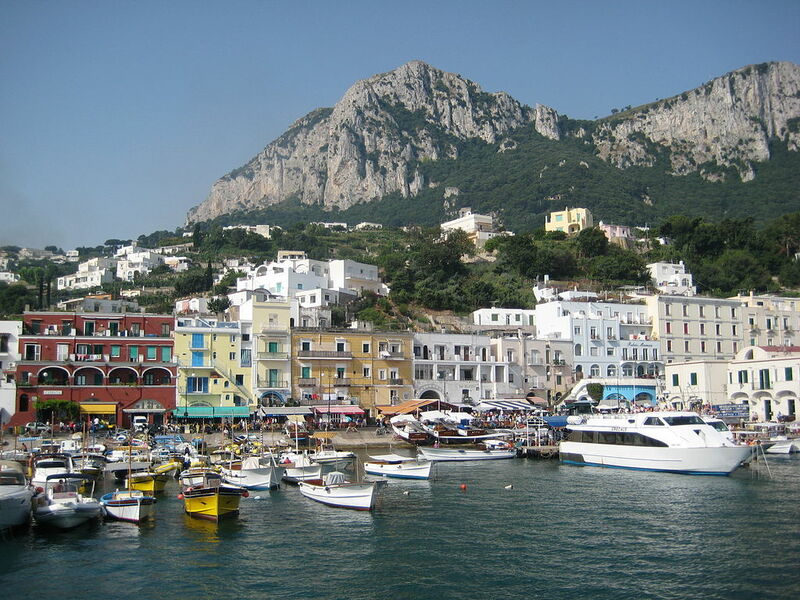 ​These days, Capri is a retreat for the youngish jet set and assorted Hollywood celebrities. Don't expect lush tropical scenery, but do expect old-world charm, gorgeous grottoes and silver- and rose-colored cliffs that plunge straight into clear blue water. Also expect superb restaurants, good shopping, watersports, lush gardens, Roman ruins, churches and wonderful streets in which to stroll—as well as some of the highest prices in Italy. Calabria in southwest Italy, occupies the "toe" of the country’s boot-shaped peninsula. It's a sun-baked region of rugged mountains, old-fashioned villages and dramatic coastline, with many popular beaches. Coastal Reggio Calabria, its largest city, is home to the Museo Archeologico Nazionale and its Riace Bronzes, a famous pair of Greek warriors dating back to the 5th century B.C.E. Reggio Calabria is a coastal city in southern Italy, separated from Sicily by the Strait of Messina. 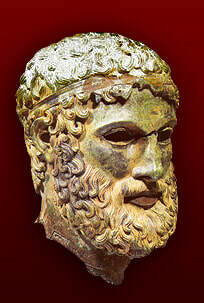 The National Archaeological Museum houses the Riace Bronzes, a pair of ancient, life-size Greek statues. Nearby, the Bergamot Museum displays the tools used to extract the oil from this citrus fruit. To the east, mountainous Aspromonte National Park contains beech and pine forests sheltering wolves, boar and deer. The National Museum of Magna Graecia, National Archaeological Museum of Reggio Calabria or Palazzo Piacentini is a museum in Reggio Calabria, southern Italy, housing an archaeological collection from sites in Magna Graecia. ​Alberobello is a town in Italy’s Apulia region. 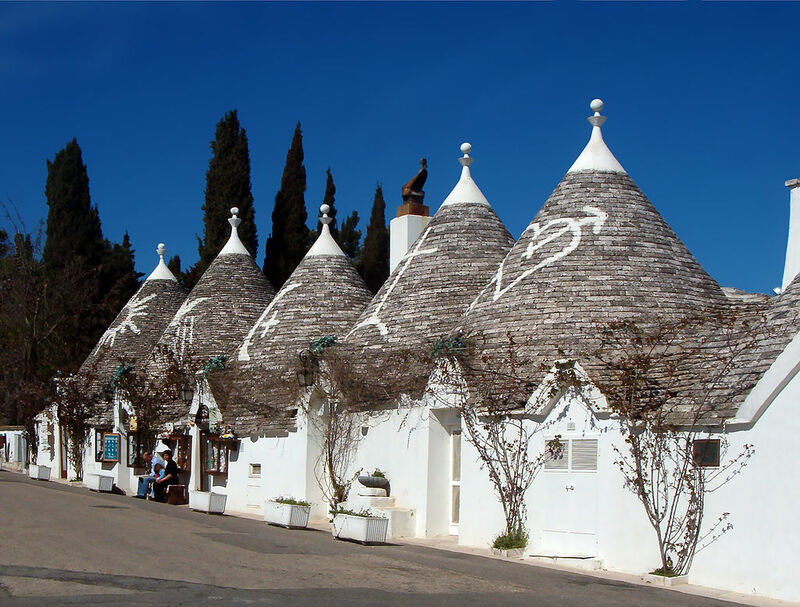 It’s known for its trulli, whitewashed stone huts with conical roofs. The hilltop Rione Monti district has hundreds of them. The 18th-century Trullo Sovrano is a 2-level trulli. Furniture and tools at the Museo del Territorio Casa Pezzolla re-create life in the trulli as it was centuries ago. Southwest of town is the Casa Rossa, a WWII internment camp. The Castellana Caves are a 2-mile long cave network with a museum. Located in the municipality of Castellana Grotte, in the City of Bari. Sicily, the largest Mediterranean island, is just off the "toe" of Italy's "boot" dotted with lemon, orange, almond and pistachio orchards. Its rich history is reflected in sites like the Valley of the Temples, the well-preserved ruins of 7 monumental, Doric-style Greek temples, and in the Byzantine mosaics at the Cappella Palatina, a former royal chapel in capital city Palermo. On Sicily’s eastern edge is Mount Etna, one of Europe’s highest active volcanoes. Teatro Greco & Parco Archeologico della Neapolis - This site is the main attraction in Siracusa, with the pearly white fifth-century-BC Teatro Greco hewn out of the rock above the city. 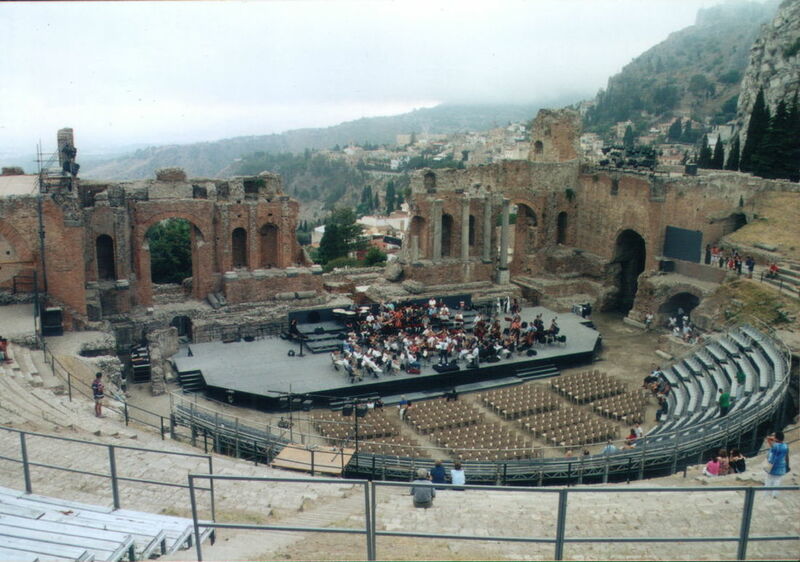 There are classic theater and concert performances in the Teatro Greco during summer. Also worth seeing is the second-century Anfiteatro Romano, which was used for gladiatorial combat and horse races. Just west of the amphitheater is the third-century Ara di Gerone II, a sacrificial altar to Heron II. The Parco Archeologico della Neapolis is in the northwestern part of the modern city and is open daily 9 am-6 pm; when there are performances in the Greek Theater, the park closes at 4:30 pm. 9 euros adults. Agrigento and the Valley of the Temples - This archaeological area, a UNESCO World Heritage site, is one of the most important in the world. 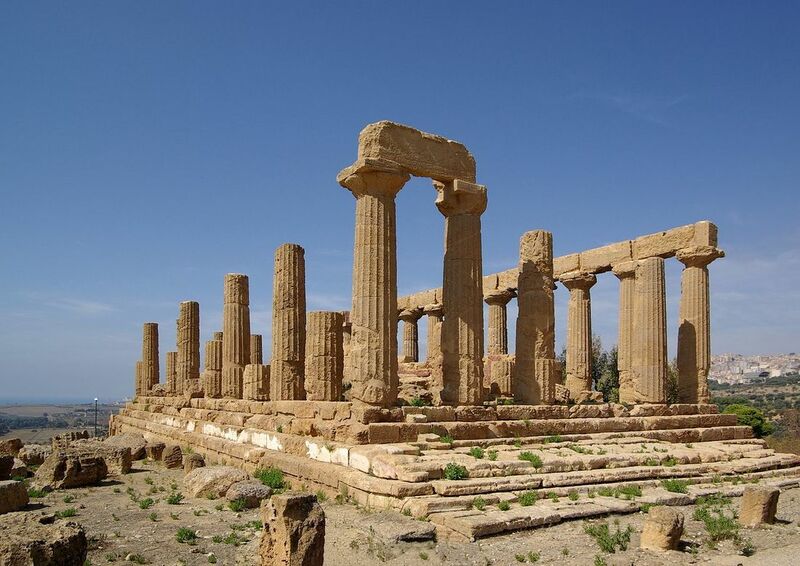 The great temples of ancient Akragas are located in the southern part of the town of Agrigento, including the Temple of Hera (Juno), Lacinia, Concordia, Heracles (Hercules), Olympian Zeus (Jupiter), Castor and Pollux (Dioscuri) and Hephaistos (Vulcan). Farther down, on the bank of the Akrgas river, is the temple of Asklepias (Eusculapius), the god of medicine. The archaeological site is open daily 8:30 am-7 pm. Some areas are not open to the public, whereas others are only accessible with a guide. The eastern hill near the Temple of Zeus, as well as the Hellenistic Roman ruins, are open to the public, and there is an audioguide available from the bookshop. In the summer (1 July-5 September), the site is open for nighttime visits; advance booking is required. Entrance 10 euros. Parco Regionale dell'Etna - This park in northeastern Sicily, the largest unspoiled wilderness remaining on the island, is a study in contrasts—from the surreal summit of Mount Etna, a 10,919-ft. high active volcano, to lava deserts, to coniferous forests. There are two good ways to get to the craters and the summit. For the southern approach, regular buses from Catania go to Rifugio Sapienza (at 6,307 ft.), and from there you can take a cable car up the mountain to 8,200 ft/2,500 m. The northern ascent from Piano Provenzano is accessible by four-wheel drive excursions or rental car, but there is not a public transportation option with this alternative. Another option is to circle the park on the private railway Ferrovia Circumetnea (http://www.circumetnea.it), which you can connect to from Catania's main station. 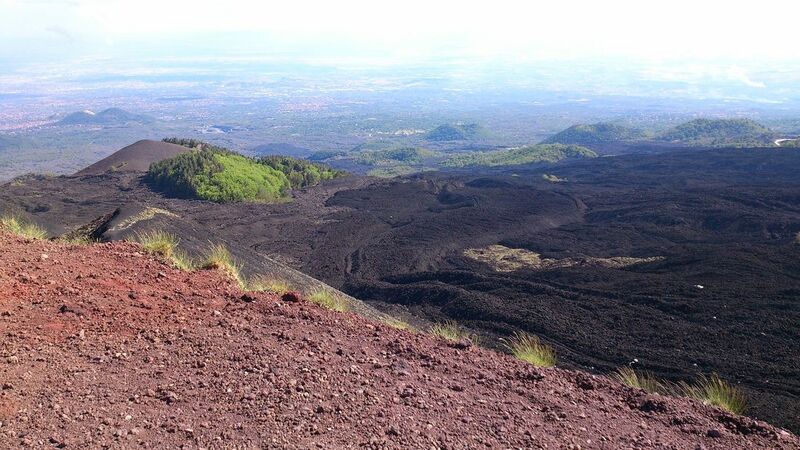 The train follows a 71-mi/114-km trail (about two hours) around the base of the volcano with amazing views, but you can also stop at one of Etna's unique towns, such as Bronte or Adrano, along the way. Daily 7 am-7:30 pm. The last cable car leaves at 4:45 pm. 27 euros for the cable car; 50 euros for cable car, bus and guide; about 40 euros-55 euros for the four-wheel-drive excursion on the northern side. Train ride on the Circumetnea is 7.80 euros round-trip. Riserva Naturale Orientate dello Zingaro - This nature reserve extends about 4,077 acres/1,650 hectares between Trapani and Palermo, with 4 mi/7 km of coastline. It is dotted with white pebbly coves set in a turquoise sea, and luxuriant Mediterranean flora. Various walking trails ranging 3-9 mi/6-14 km in length are available throughout the reserve. Camping with previous permission (obtainable through a form on the website) is possible in shelters dotted throughout the reserve October-May. Bird-watching is also good there. The reserve starts at Cala Mazzo at Sciacca and extends to Tonnarella Dell'Uzzo, San Vito Lo Capo and part of Castellammare del Golfo. Guided visits are available on request. Daily 7 am-7:30 pm. 3 euros adults. Sardinia Sardinia, Italy, is a striking island—the rocks are colored black from basalt, silver from granite, red from porphyry—and it has had great historical and strategic importance. Its location 150 miles southwest of Rome helps explain why every Mediterranean power has controlled the island at one time or another—Romans, Phoenicians, Spaniards, Turks, even a pope. The northern coast of present-day Sardinia is a favorite vacation spot of Italy's extremely wealthy, which explains the island's high prices. A good alternative to renting a car is to circle the island by boat over the course of two weeks, stopping in the small towns and coves along the way. If you're not yachting around the isle, plan a minimum of three nights. Also keep in mind that many hotels shut down in the fall and spring. Cagliari is the capital city of the Italian island of Sardinia. 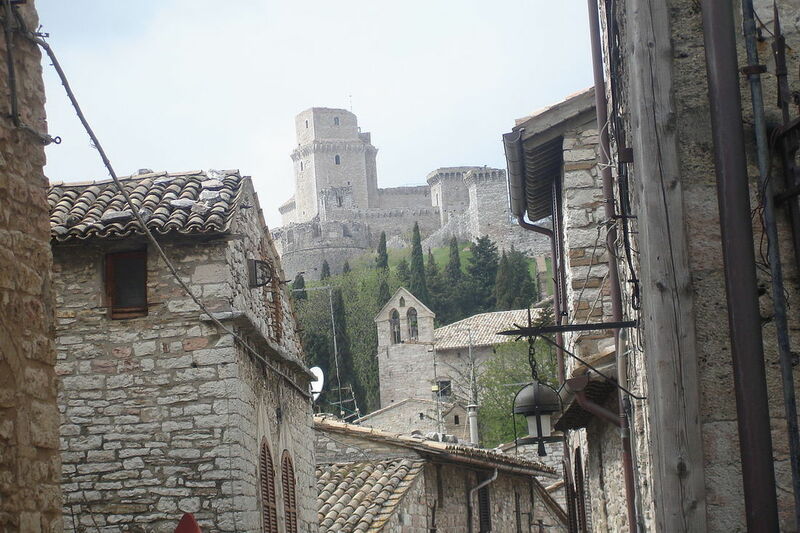 It’s known for the hilltop Castello, a medieval walled quarter situated high over the rest of the town. Architectural highlights include the 13th-century Cagliari Cathedral. Housed in a former arsenal, the Museo Archeologico Nazionale di Cagliari displays bronze objects, Roman ceramics and artifacts from the Nuragic age to the Byzantine era. Centropanificazione Monteleone Rocca Doria - This small hilltop museum is dedicated to the importance of bread in Sardinia, outlining its history and that of the breadmakers. The range and creativity of the breads, which are used in all of Sardinia's many festivals, is extraordinary. Sardinian Ethnographic Museum - Displays a lovely collection of jewelry, traditional clothing, musical instruments and more. Tuesday-Sunday 9 am-1 pm and 3-7 pm October to mid-March; Tuesday-Sunday 10 am-1 pm and 3-8 pm mid-March to September. 5 euros. Asinara National Park - Once a 19th-century penal colony, a World War I prisoner-of-war camp, and then a prison during the 1970s. 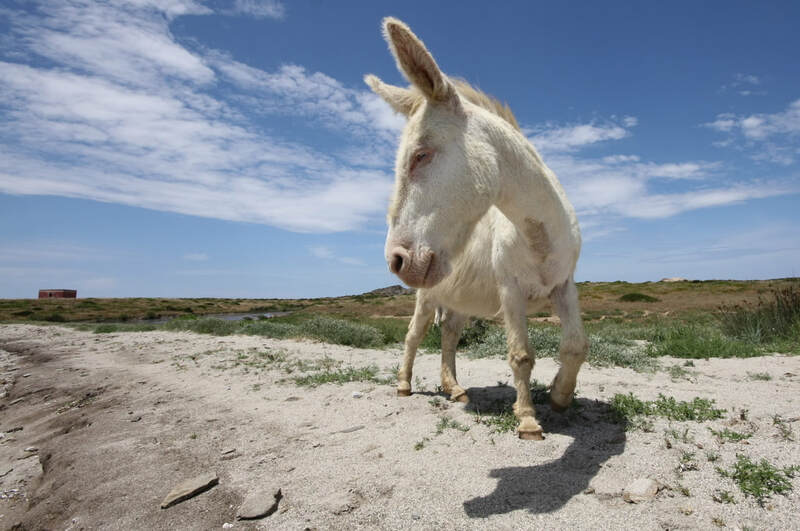 Today, this island is a marine and wildlife reserve that is home to albino donkeys. It's especially good for walking and cycling.